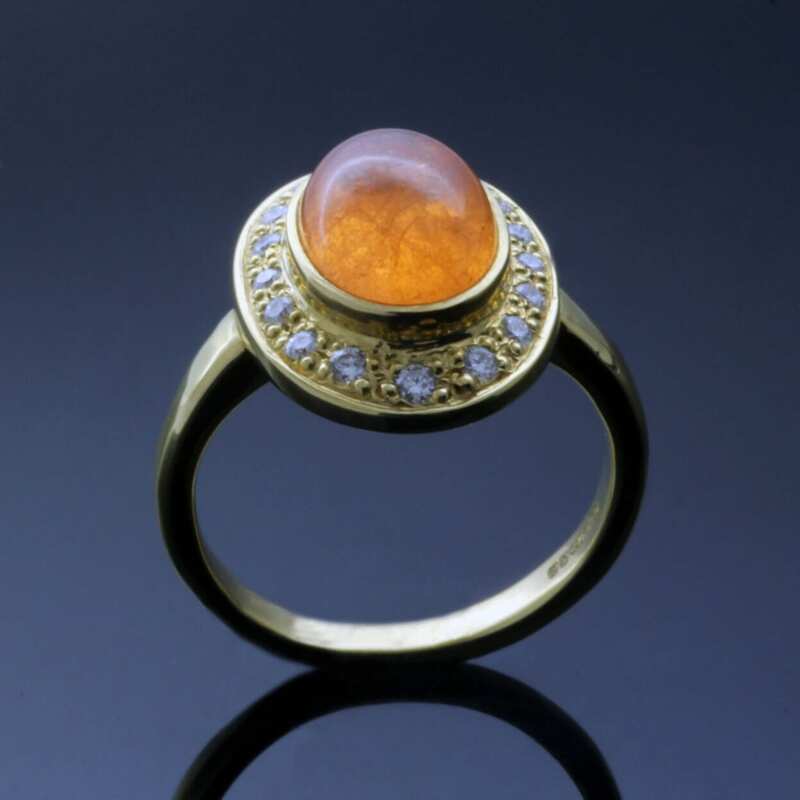 An exquisite and unique one of a kind piece, expertly crafted by Julian Stephens from the finest and most precious materials to create an exceptional and opulent contemporary ring design. 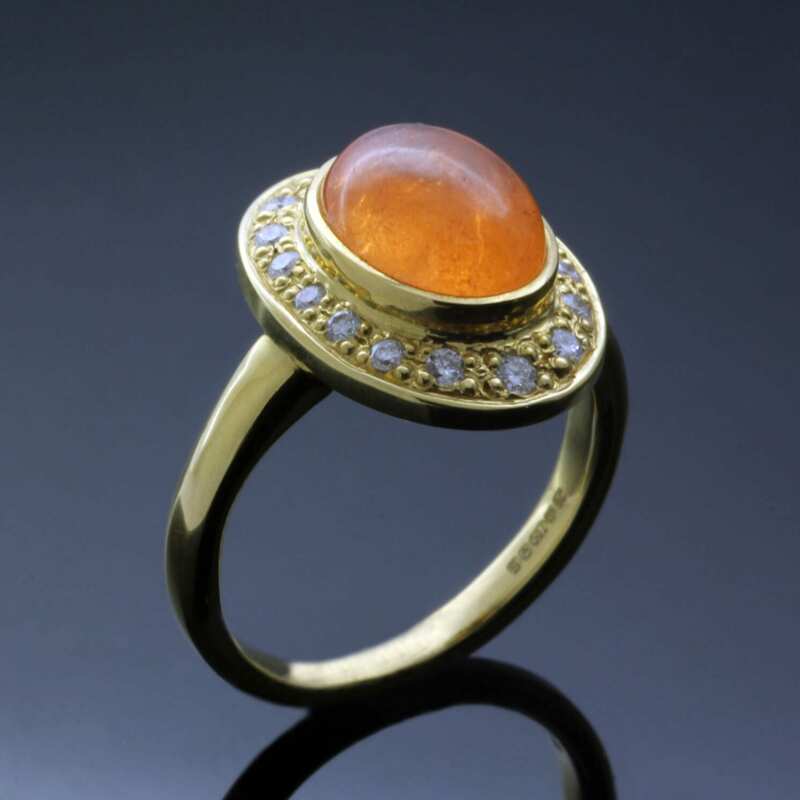 Showcasing a gorgeous Cabochon Garnet in a beautiful rich Mandarin orange shade, surrounding this precious gemstone with a dazzling Halo of Diamonds and setting these sumptuous materials in solid 18ct Yellow Gold to complete this elegant and extravagant ring design. 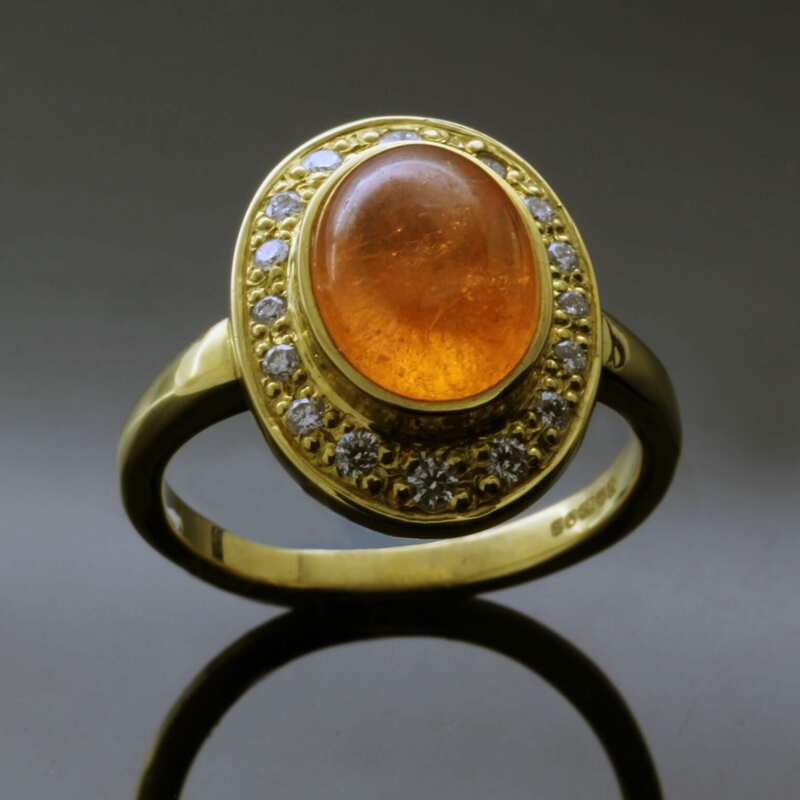 This beautiful ring is crafted with the utmost care and reverence for the fine materials used, finished with a polished and high shine to the buttery rich Yellow Gold. This exceptional ring bears Julian Stephens exclusive makers mark and is fully hallmarked to indicate the brilliance and beauty of the materials used to create this stunning design.